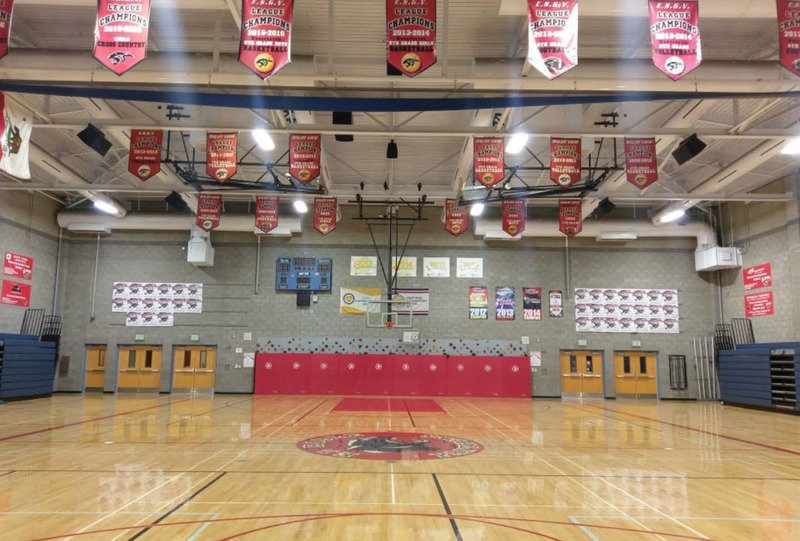 Claremont Unified School District wanted to upgrade lighting systems in two gymnasiums to reduce energy consumption and utility costs, while increasing the facilities’ lighting quality, and upgrade the functionality of the district’s gymnasiums. The district wanted to install an upgraded lighting system with intuitive controls, without having to do costly structural and infrastructure updates. The district worked with FSC Lighting and partners to retrofit 16 inefficient fluorescents with high efficiency LED lighting. The project also included the installation of manual-dimming fixtures at Claremont High and El Roble Intermediate schools, along with occupancy sensors to control usage in El Roble Intermediate School. The district secured funding from the California Clean Energy Jobs Act (Proposition 39), allowing the district to make the upgrades, without having to use capital funds. FSC helped the district make the operational changes needed to improve energy efficiency at its facility, while improving lighting levels and controlling future maintenance costs.